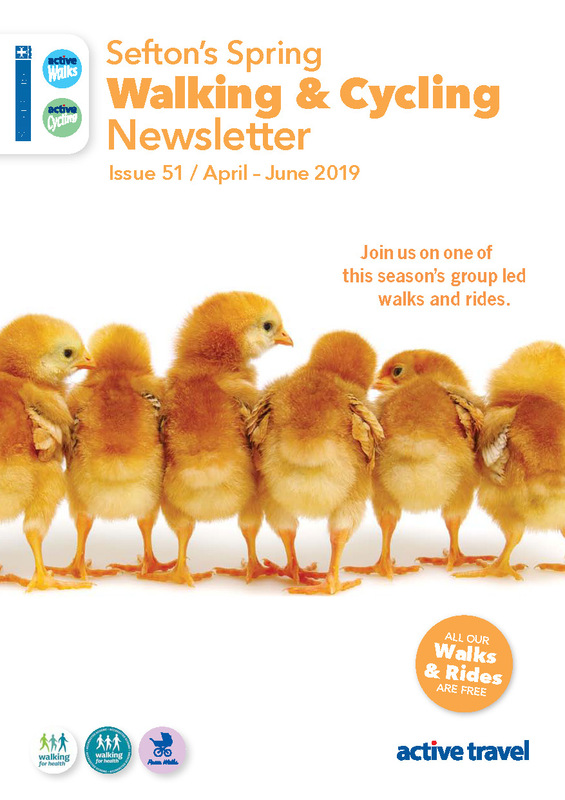 There is something for everyone with the latest walking and cycling newsletter and its available to download now. It's the perfect companion if you enjoy walking and cycling in Sefton. The newsletter is full of events and activities delivered through the Active Travel teams within Sefton along with information about partner organisations events and activities with a cycling and walking theme. It's produced on a quarterly basis and is available in hard copy from Health Centres, Libraries, Community Venues and Leisure Centres. The newsletter is available here for download now. This latest edition covers the period from April to June 2019. Alternatively contact us through our contact page and we can send you a copy when they are available.